11 Ideas for a Pet-Friendly Home! Pets are the best gifts to mankind. They are the best stress relievers and they make us happy without expecting anything in return, but love. They cannot say it but our love and care are all that they need. These little balls of sunshine deserve all the love and care in the world. They treat us as their world, this is the least we should do for them. They are like a part of our family, and they should be treated like one. They make your house a home by bringing all the liveliness so it will be good to make one for them too. Depending on the size of your pet, make them a wooden house and use your creative skill to decorate it. Write your pet’s name on the house or decorate it with cute pictures. If possible put a cute gate or door to the kennel, well nothing like a garage door but like a kid’s nursery gate. However, keep in mind that you’ll have to remove this special house if you ever plan to sell your home and put it on the market with the realtors in Miami. Even better, before building a kennel take some advice or inputs from competent real estate agents so that this kennel can increase the value of your house in the long run. You can always find buyers with some specific needs. From your pet’s toys to his leash, there are so many things related to that need to be in place every time you need them. Build an organizer for these things, for hanging his leash or storing toys. This will look good and reduce your hustle too and will be less messy. Dog gates are a very useful tool to set boundaries for your beloved pet. Whether it is some party or dining area, a dog gate will help you keep him away from messing around. It is a better way than putting a leash around your pooch’s neck at least. Sleep is as crucial for your little friend as it is for you. A soft and comfy bed is what that little sunshine deserves for a sound sleep. Getting a cute and comfortable bed would be the best gift for your pet. It will be a resting space for your pet and is a lot better than let him sleep on a bare floor. Choose a bed with quality material. It is like a built-in area to keep the bowls to feed your pet. It is a big help in keeping your house clean and tidy. You can even store the pet food in this platform. And this will also help to teach your beloved squishy some healthy eating habits while keeping the rest of the house clean. Just like kids have their playground, these four-legged kids also need some recreational activities too. You can build an agility course for your little champ. This will help to keep him active and fit. This will be good for your pet’s health as well as fun for you too. To make it more fun try putting a cute yard sign with your dog’s name on it. That little pooch wants to follow you around every time. But when it comes to your bed or big sofas, his little humps are not enough. Building a ramp will not only be a toy, but it will be easy for that little four-legged to climb up to bed or sofas. And it would not be tough for his little joints too. Your pet’s well being is the first priority for you to take care of him. Health and appearance are as important as a pet’s living conditions. Visit the vet regularly to make sure your little munchkin is doing fine on the health levels too. Keep the fur clean, free of any dust particles. Your puppy can see your furniture as his teething toy. So be careful about choosing the right furniture for your home. Keep in mind your pet’s activities while opting for furniture. Don’t use fabrics that attract fur, it will be all messy in your living area with your little puppy’s fur. Be careful of any mishaps that can occur because of some irresponsibilities. 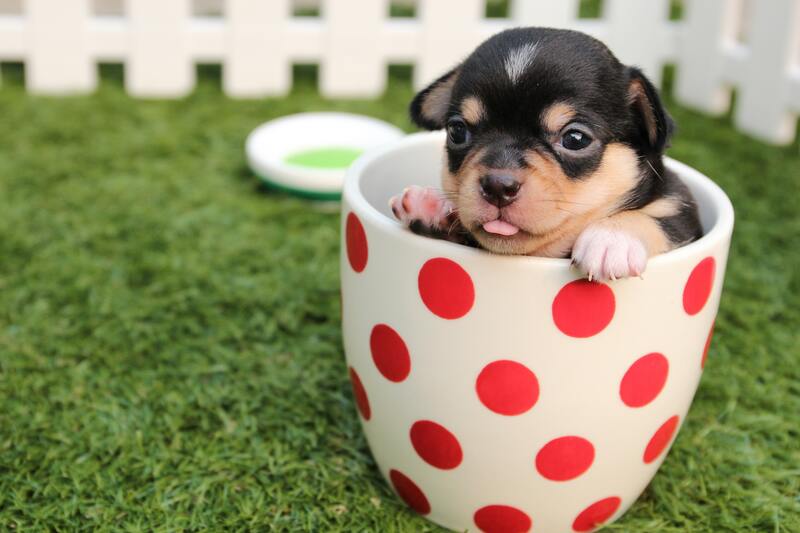 Avoid placing delicate crockery within your pet’s reach. Candles, liquids or any breakable thing should be kept away from them. Pets aren’t always aware of things around them and can cause trouble unwillingly. This is the most important thing to keep in mind while keeping a pet at your home. They can be mischievous and carefree and cause trouble sometimes or other without any intentions. All you have to do is be gentle with them. Try to teach them in a friendly way. And even if something wrong happens, be calm and don’t panic. Take things easy and solve everything with patience. Consider your pet’s needs when you plan to have any changes to your house. Your planning and carefulness can help your little friend have a happy, healthy time and keep him safe too. Be generous and spend time with them. This is all they want to be the happiest pet in the world. She is a blogger who loves to write on different verticals. She co-authore Supercharge Organic Traffic: A popular course focusing on Organic Traffic for E-commerce. Her hobbies are traveling and reading.